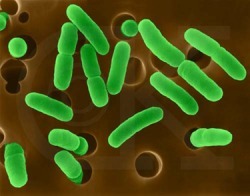 Escherichia coli (commonly E. coli) is a bacteria that is commonly found in the lower intestine of warm-blooded animals. 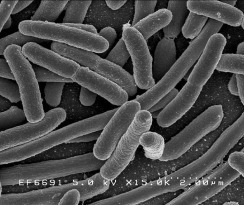 Importance: is a bacterium that though not pathogenic itself, is an indicator for the presence of human feces and thus potential for the presence of pathogens. Values: To be safe for swimming there should be no more than 250 colonies/ 100 ml. Not present. None of the coliforms or bacteria are present in the river.